Adobe Bridge is like the boring manager who nobody pays attention to till you need them. Adobe Bridge can not only help you manage your vast collection of photos, but it can also help you review them quickly with a slideshow. The slideshow option is a powerful review and presentation aid that you should use more often. Adobe Bridge has a basic slideshow capability. But it also has a few features that allow you to customize the presentation for your audience. So, start by launching Adobe Bridge. Go to View > Slideshow Options. Select the options to customize your presentation. Black Out Additional Monitors. This setting will turn off the laptop or other connected devices if you are using a projector for your presentation. Repeat Slideshow. This setting will keep the slideshow running on a loop. Zoom Back And Forth. This is a default presentation style where one photo will zoom in and the next will slowly zoom out. Slide Duration. The settings here will determine the time interval between each slide. Select the Manual option if you want to control the flow yourself. Caption. Meta-data for each image can be displayed by selecting the Full option in the dropdown. Or, you can sequentially showcase them by choosing an option like Page Numbers. When Presenting, Show Slides. You can choose to center an image or fill up the available space on the screen with the other two options. Consider the width and height of your images to make the right choice. Transition Options. Dissolve is the simplest pick here, but you can also experiment with the Random option that will play with the other presentation styles in the dropdown. Also, set the speed of the transition effect with the slider. You can play the slideshow with a click on the Play button. Alternatively, save the settings by clicking on Done. Then, when you are ready just go to View > Slideshow to start the presentation. To pause, press the Spacebar. To finish, press the Esc key. Adobe Bridge has a few useful features tucked away. 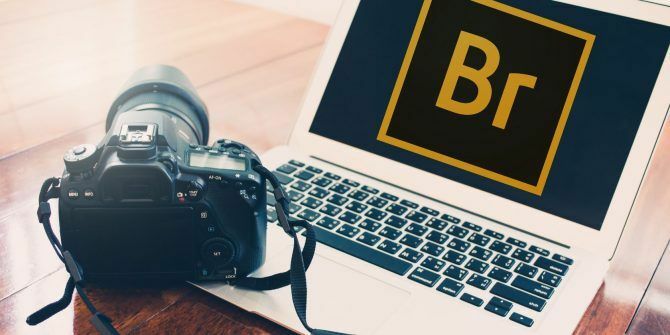 Did you also know that Adobe Bridge is a powerful image renaming tool How to Batch Rename Your Photos Using Adobe Bridge How to Batch Rename Your Photos Using Adobe Bridge Don't overlook the batch file processing capabilities of Adobe Bridge. Try this tip for renaming all your images in one go. Read More ? Explore more about: Presentations, Slideshow. You can attach media including video and images files using one note. Including the free version. I do wish it had better office intergration though. (Like being able to copy and paste cells from Excel and they retain their format).